When you are working hard it is important to fuel yourself properly. You’ll also feel better when you’re fueling the right way, and you might even see some improvements in your performance. “Fuel” comes in the form of food, proper hydration and rest. I’m getting pretty specific here and talking about what I look for when it comes to fueling my body with evening meals. When I’m looking for recipes to cook for myself, I keep my eyes out for meals that are healthy, easy, and quick to make. But what does that mean? Healthy – For me that means a meal with a mix of veggies, protein, healthy fats and whole grains. 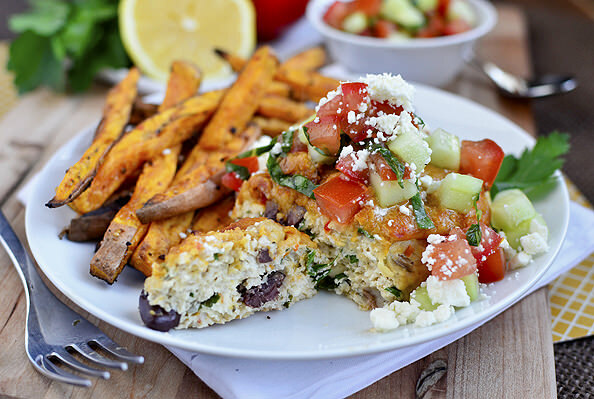 Filling – What’s the point of a healthy meal if you’re hungry for snacks and dessert after? This is where the protein and fats come into play. Easy – I don’t want to have to use or buy a ton of exotic (or expensive ingredients) for a weekday meal. Recipes that rely on pantry staples or ingredients that I will use in other meals throughout the week are a plus. Weeknights are not the time for complicated cooking methods. Baking, roasting and pan-frying are great. Quick – You’d think something easy would also be quick to make, but not necessarily. Anything that calls for a slow cooker or a long (over an hour) cook time is usually not something that fits into my schedule. If you don’t have much time or desire to recipe search, stick with this formula: Lean protein + Vegetables + Whole Grain. Be heavy handed with your seasoning. Play around with the bottles of spices you have in your cupboard. You can add plenty of flavor to your meals without tons of butter, salt or heavy dressings. Roasting! Roasted vegetables just taste better. To roast, toss your veggies with some olive oil and season generously. Throw them in the oven at at 375 and cook until your veggies are lightly browed and crispy on the outside (approximately 20-30 minutes). You can roast pretty much any vegetable. A few of my favorites are broccoli, asparagus, brussel sprouts and sweet potatoes. I like to season with a mix of salt, pepper, garlic powder and some red pepper flakes. Here are some of my all-time favorite recipes that meet my healthy dinner criteria! These Mini Mediterranean Turkey Meatloaves showcase one of my favorite flavor combos. Bonus: I usually have the ingredients on hand and if i have to buy them, I know I’ll use them up in other recipes throughout the week. 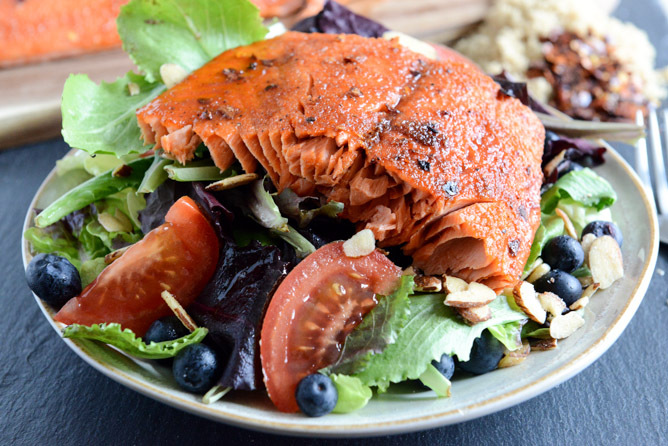 I love all salmon and this is one of my all time favorites. You may have to buy a couple extra ingredients for this one but trust me, you will be making this again and again. The first time I had this Balsamic Chicken was when someone else cooked dinner for me. It was so good I found the recipe and have made it again and again. Few ingredients, a simple cooking method, and you wind up with tons of flavor. This Jerk Chicken recipe is a new one that I’ve thrown into rotation but it is good! Try it on the grill during the summer or just throw it in a pan to cook when it’s too cold to be outside. Are you seeing a theme here? Salmon and chicken are staples for me so I’m always looking for ways to spice them up, literally. 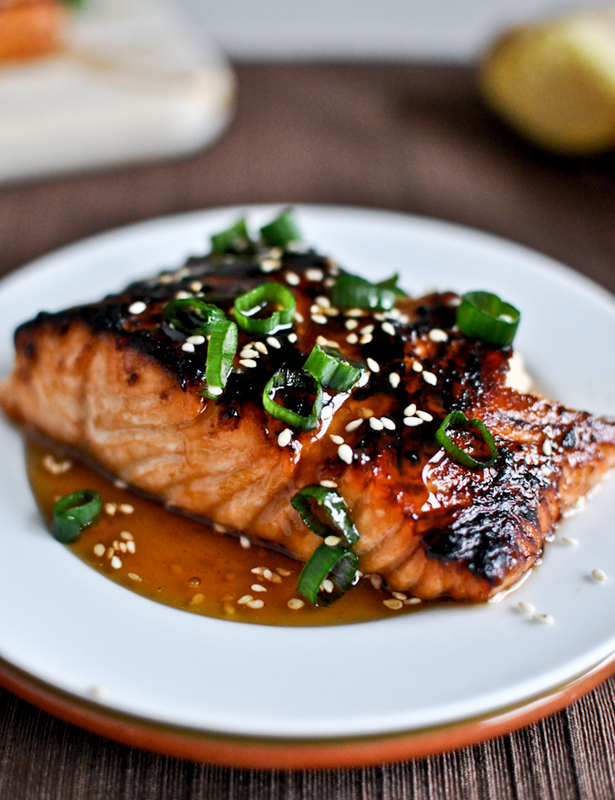 Another of my favorite flavor profiles for salmon and I guarantee you have everything in your cupboard already. 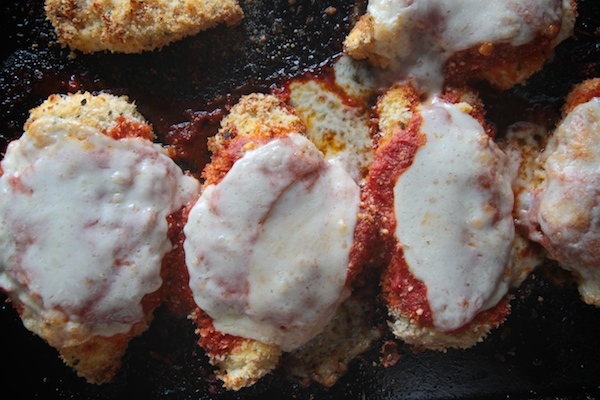 Chicken Parmesan will take a little more time but is a breeze compared to the traditional method and is also much healthier! It’s definitely worth it if you’re in the mood for something comforting or want to make a delicious, healthy meal for someone else. This Spiced Chicken is too good. I like to use it on chicken thighs, though I’m sure it would taste good on a shoe. I’ve tweaked the spice mix a bit to make it my own – adding a little more of this and a little less of that – and to suit my own tastes. I’m sure if you try it once you’ll be making it again. You’ll have plenty of opportunity to come up with your own signature blend. Sometimes I like to eat vegetarian. 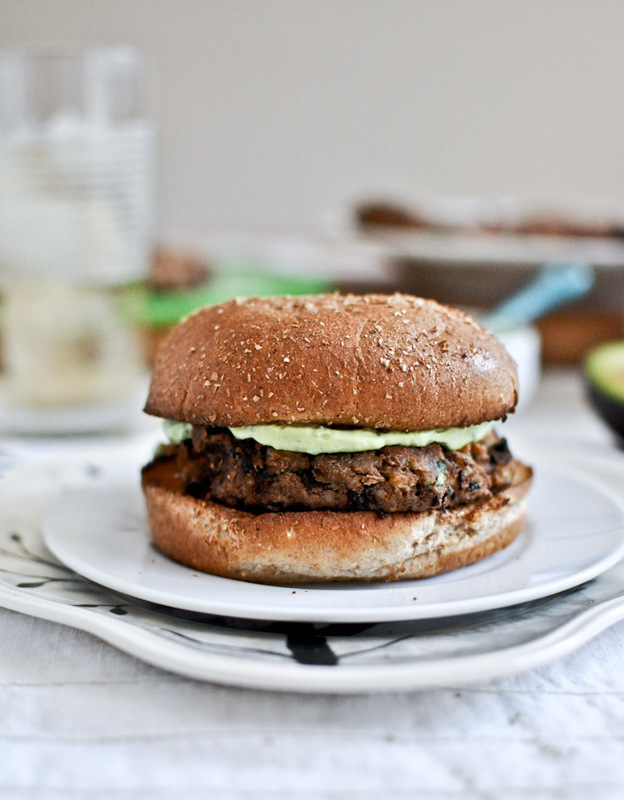 I probably would more often if I found more delicious, filling recipes like these Bean Burgers. The problem I find with many vegetarian meals is that they either don’t keep me full for long enough or that they call for tons of ingredients, many of them that I wouldn’t use very often. Usually when I’m making salad at home it’s to go alongside my meal. However, with the right ingredients you can actually create a filling meal. Below is my personal recipe for one of my absolute favorite salads. I love greek salads, they are my go-to at most restaurants and no two are ever the same. The ingredients in my recipe are a mix of all my favorites – tons of fresh chopped veggies and plenty of flavorful, filling toppings. Not only is this salad delicious but it is protein-packed and full of nutrients. On top of that, it comes together easily with the help of pre-cooked staples that I buy at Trader Joe’s. I like to cook and season my own chicken and also throw together my own dressing. Taking a little extra time for those two things are worth it for me – I can control how I’m preparing my chicken and can avoid saturated fats and/or weird chemical ingredients in my dressing. You can choose to include or leave out any of the ingredients and I’m sure you could find all of these ingredients at your local grocery store. The quantities listed below are totally a guess. You can play around with them depending on what you like and how many servings you want to end up with. Give a couple of these recipes a try and let me know what you think! Previous Post HIIT Challenge – Happy Halloween!